This has been a week of contrasts! I’ve had an amazing time in Berlin with my sister but before I went, Amy had to have two emergency appointments at the ENT clinic. Saturday afternoon she was in serious pain and I was unsure whether to go or not but by Sunday morning, she was completely pain free and back to her happy self. My parents insisted that I should enjoy the weekend with my sister and that they’d let me know in case something was wrong and luckily there wasn’t. Once I got home, though, Amy was so bunged up that she actually resembled something out of Aliens vs. Predators. Her eyes were nothing but green puss and I was so shocked by it that I actually burst into tears when I got home. The doctors had said that puss might actually come from her eyes and that it was completely normal and pain-free but it looked absolutely horrible and not pain-free at all. I’ll go into it all in more details in a separate blog post but I’m just so incredibly proud of her for being so brave and relaxed about it all. She’s such a little trouper! I’m currently reading the second book in the Random Acts series by Julia Kent and I’m a little more than halfway through it. This book is nowhere near as weird as the first one, although I did think that about Random Acts of Crazy until I was about three-quarters through. We’ll see how it goes on. I’ve got high hopes for it. Other than that, I’ve indulged in some magazines this week. 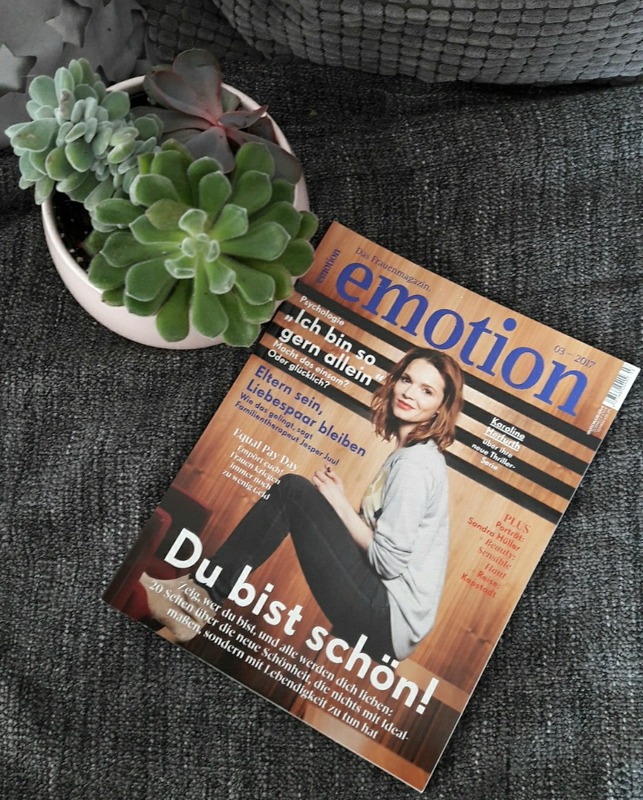 I haven’t picked up a magazine in ages but before I got on the train to Berlin last Sunday, I got the latest copies of Emotion, Couch and Myself – the perfect mix of psychology, interior design and women’s interest. What’s your favourite magazine? I’ve not watched anything apart from ‘The Bachelor’, some races of the biathlon World Championships in Hochfilzen and a German show called ‘Ewige Helden’ which means something like ‘Eternal Heroes’. It’s a show that sees 10 former top athletes from different backgrounds fight against each other in different challenges to determine who the ultimate sportsman or sportswoman is. The disciplines test their physical and mental strength, agility, endurance and speed and it’s super interesting to watch. I was obsessed with the first season of it last year and I know I’ll be hooked on this one, too. I could add this to the ‘Watched’ category too but as it’s called a musical, I’ll add it here. 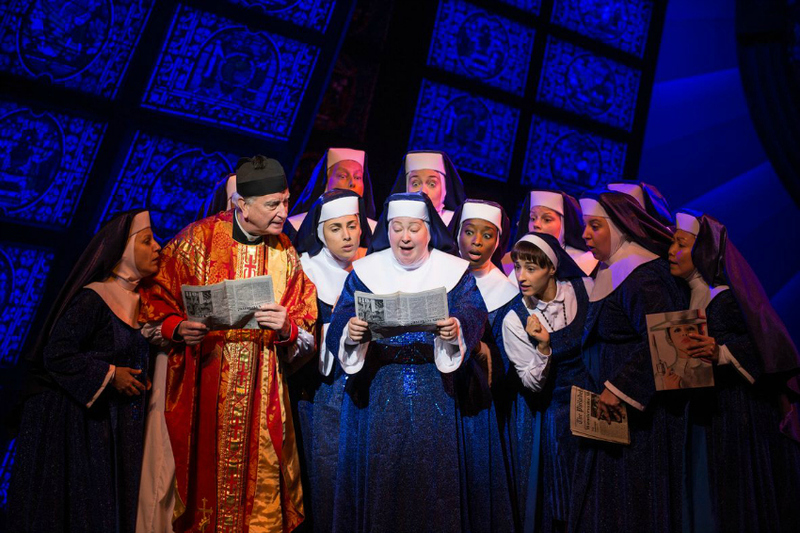 My sister and I went to Berlin last Sunday to watch ‘Sister Act’ and it was absolutely brilliant. I was a little sceptic when I heard that they wouldn’t perform any of the songs that you know from the Sister Act movies but the mix of humour and gospel music was phenomenal. I loved the chemistry between the actresses who played Deloris and Mother Superior. Their banter was hilarious. Comfy shoes. We did lots of walking in Berlin this weekend but the weather was so nice that we really didn’t want to rely on public transport. We walked from our hotel to the German Bundestag (parliament), took some selfies at Brandenburg at Brandenburg Gate before popping into Madame Tussaud’s for some snapshots with some creepily realistic wax figures of John F. Kennedy, Harry Styles and Taylor Swift before continuing our walk along the Neue Wache memorial and visiting Berlin Cathedral. 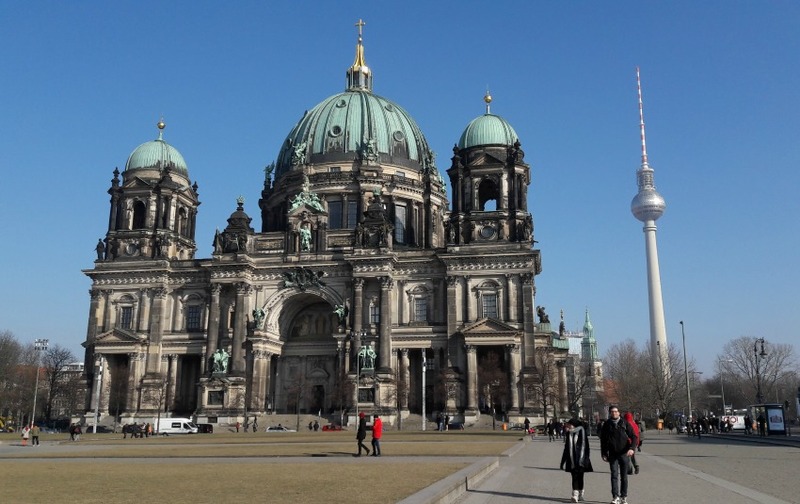 We climbed up 181 stairs, although it felt like 1810, enjoyed an amazing view over the city and headed to Alexander Platz where we had some lunch before hitting one of only nine Primark stores in Germany – all of them more than two hours away from where I live. 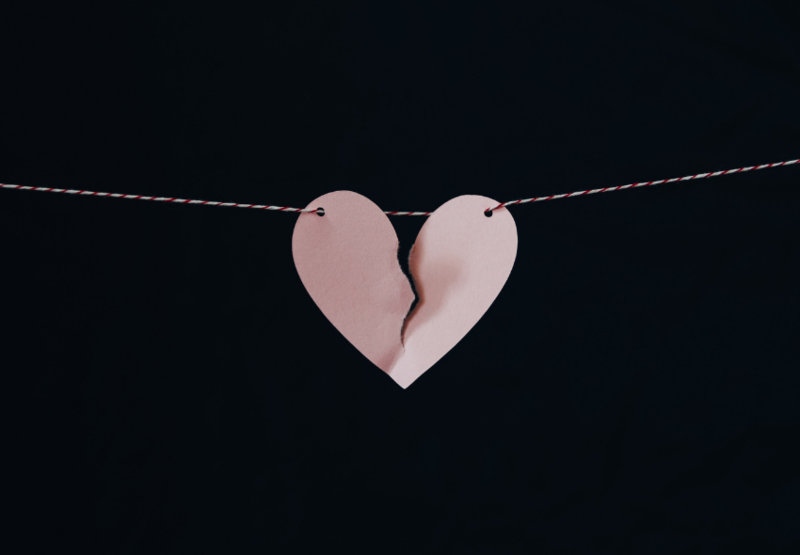 I was in absolute heaven and picked up lots of bits for Amy – something I loved doing every single time I went into down when I still lived in the UK. It was so much fun and I might have had to buy a new suitcase to get everything home – oops! I can’t wait for the weekend. Amy has the day off today as her kindergarten teachers are having another training day, so we’ll have a relaxed mummy-daughter day and bake some waffles before snuggling up on the sofa for a movie afternoon. 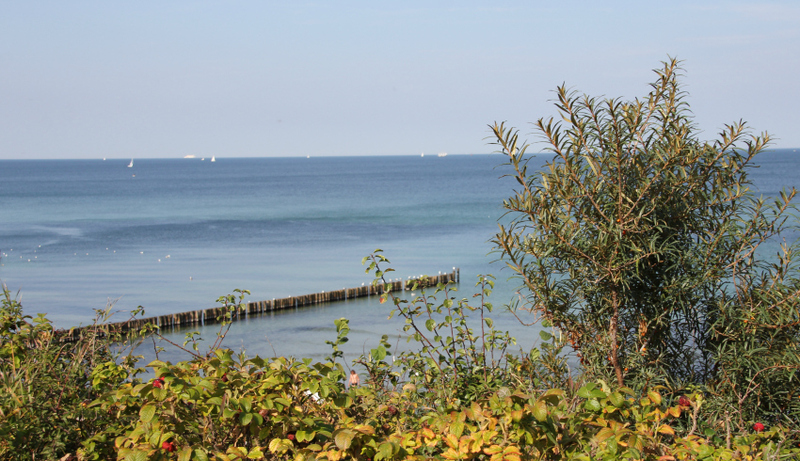 I also really want to head to the beach this weekend, so fingers crossed for some sunshine this Saturday or Sunday. It’s still below 0 degrees here but I feel like I need a day at the beach to blow all the cobwebs away and recharge my batteries. It’s my absolute favourite place in the world and I feel so lucky that we live so close to the sea. What did you get up to this week and most importantly, what have been your Little Loves? 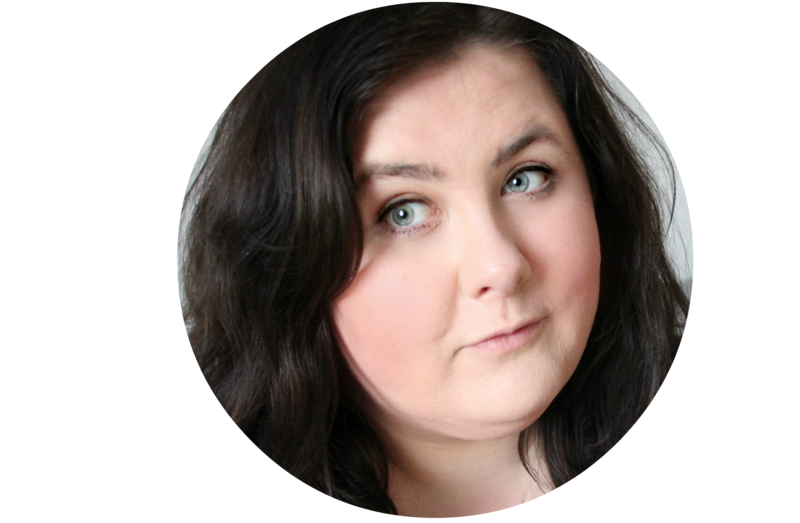 Let me know in the comments below or if you’re a blogger, why not write a post and link up with everyone over on Morgana’s blog? Oh poor Amy, that sounds awful! So pleased you had a good time away though. I really want to visit Berlin, it looks o beautiful.